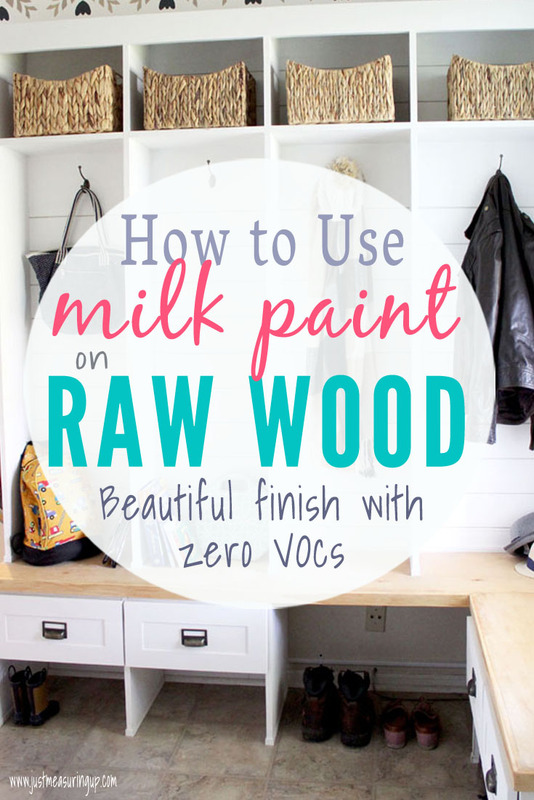 How to Use Milk Paint on Raw Wood Post Preview: You will find out how to use milk paint on raw wood to create beautifully-finished furniture with a non-toxic, zero VOC paint. This post is sponsored by Old Fashioned Milk Paint. All opinions are entirely my own. We have been on a mission lately at the grocery stores, when online shopping, and even at the home improvement stores. We’ve been choosing products that have the healthiest ingredients. Ones with basic ingredients, instead of long lists that we can’t pronounce. Ingredients that aren’t detrimental to our health. If you’ve ever read the ingredients or warning signs on a regular can of paint, I’m sure you know what I’m talking about. 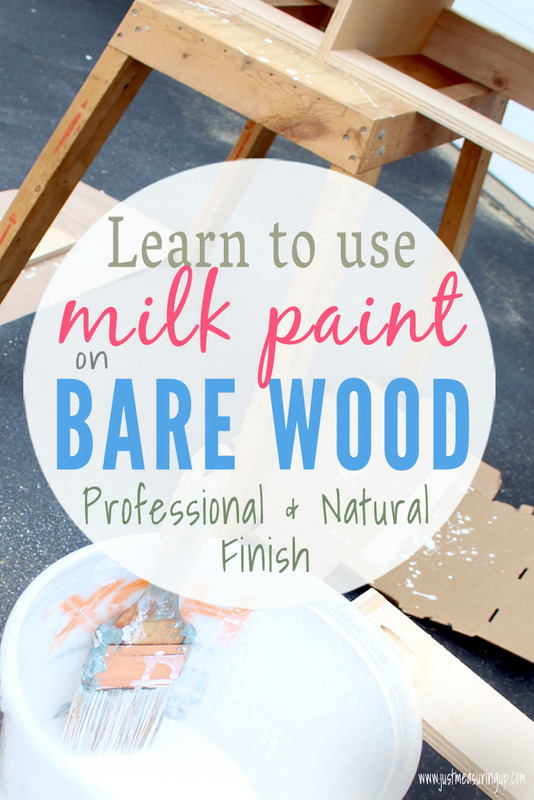 After a ton of research on paints with the best ingredients, I stumbled upon milk paint. 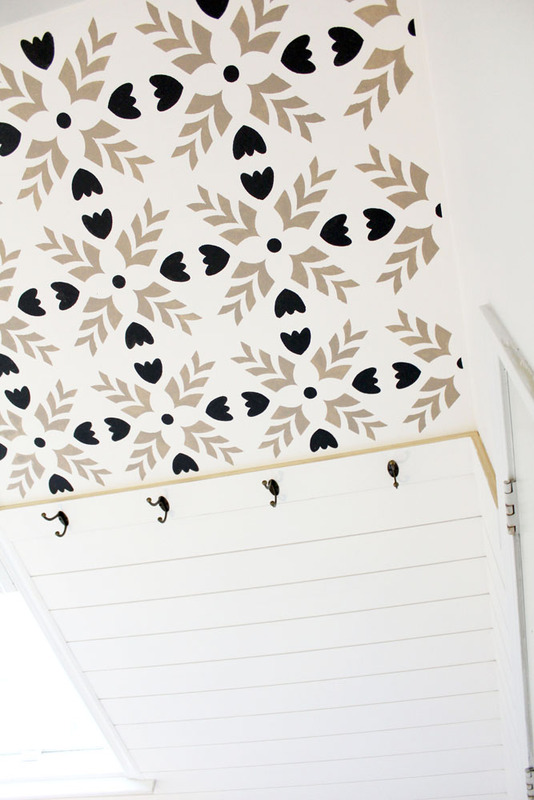 Milk paint is a non-toxic, water-based paint. It has been around for thousands of years – before adding solvents, toxins, and chemicals into paints was a thing. I’ve painted tons of furniture before, and I was worried that milk paint would be hard to work with or not give me the results I wanted. Well, my worries were met with a beautiful, easy-to-work with milk paint and that delivered the same results that a high-quality furniture paint would, without all the chemicals. 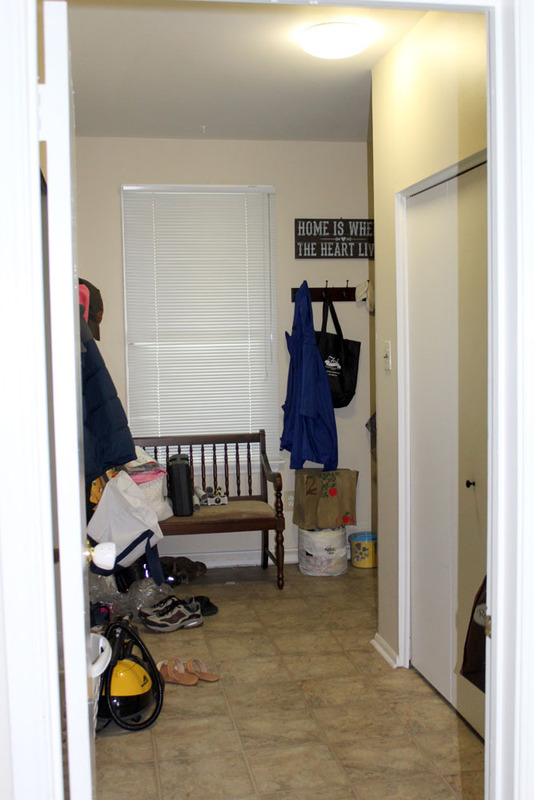 My husband and I were in the middle of a mudroom makeover when we started our quest for natural paint. 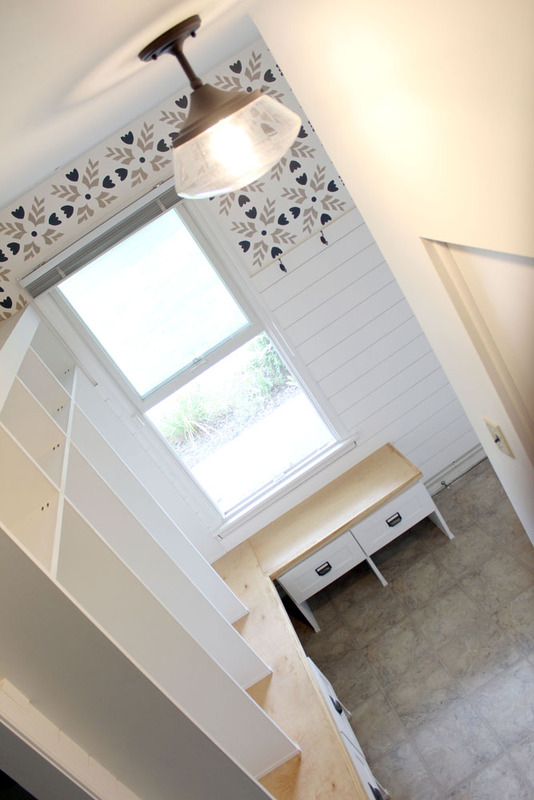 We had built a wooden entryway bench with locker-style cubbies. 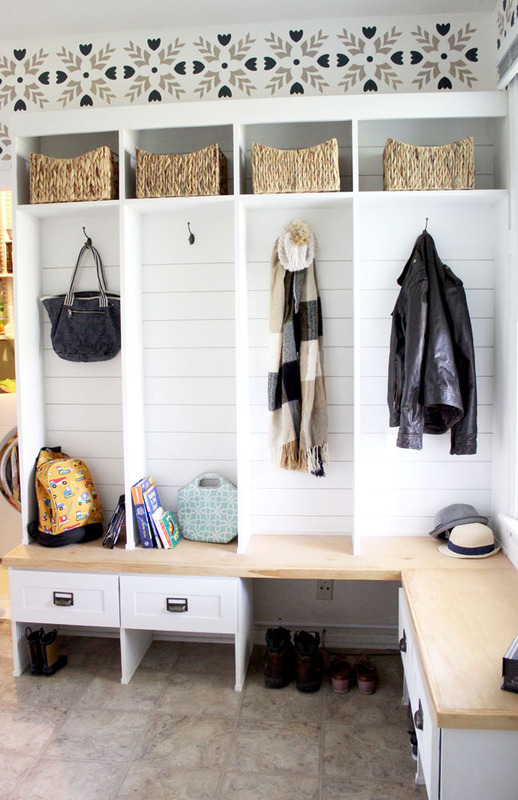 It would hold backpacks, coats, hats, diaper bags, mail, shoes and more. In our search, we were ecstatic to find Old Fashioned Milk Paint, made from just milk casein, lime, and earth pigments. The milk paint worked exactly as a high-quality furniture paint without solvents, toxins, and other chemicals that have since been added to paints. 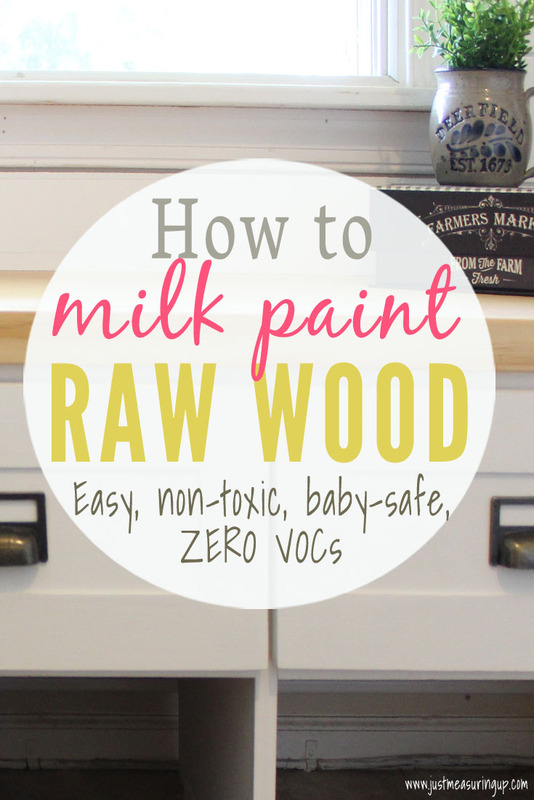 Old Fashioned Milk Paint has absolutely zero VOCs, it’s bio-degradable, and non-toxic. Most times when you see milk paint used on Pinterest and blogs, it’s usually used to refinish an already-painted piece of furniture. 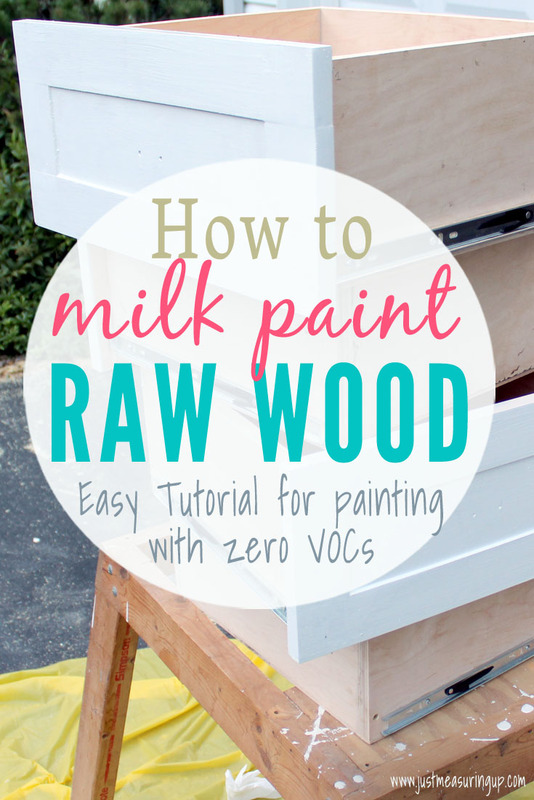 However, milk paint can also be used very easily on raw wood. And, it looks beautiful. First, milk paint comes in a powder form. You simply mix it with water and then it’s ready to go. 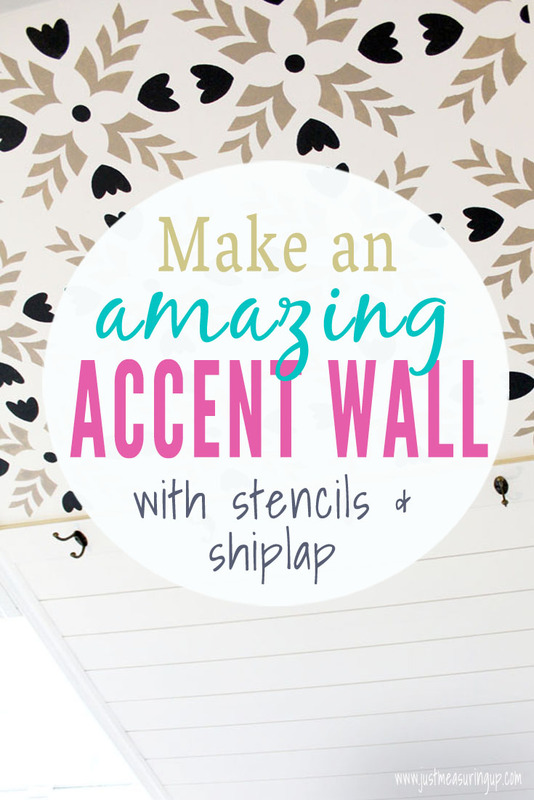 While this is an extra step, it’s totally worth it to be painting with zero VOCs. There are also advantages to mixing your own paint. For example, you can easily create your own colors, the paint dries quickly, and it can be cleaned with simply soap and water. 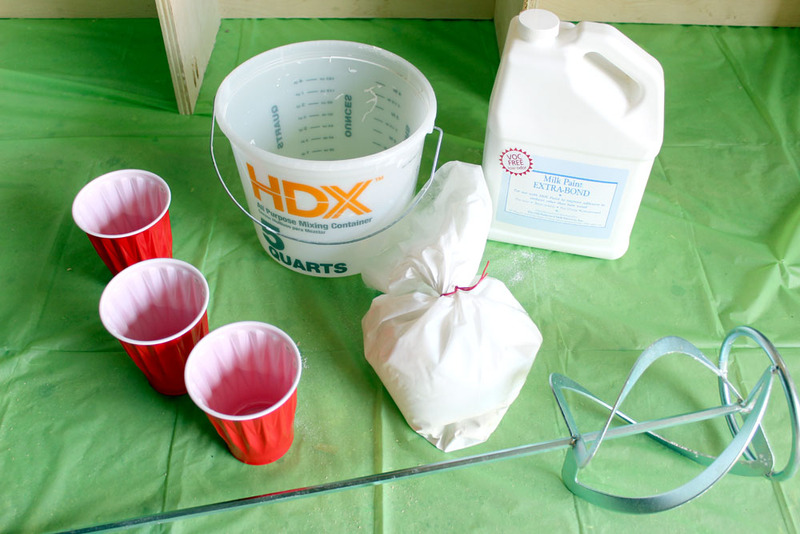 To mix your Old Fashioned Milk Paint, follow these instructions. First measure out equal parts of the milk paint powder and water. Dump these into a bucket or mixing container. 2. Add in bonding agent, if necessary. You’ll want to figure out if you need a bonding agent mixed in your first coat. A bonding agent helps the paint to stick. It does make the first coat more watery but subsequent coats will be thicker. Typically, if you’re using raw wood, you typically don’t need to use a bonding agent. 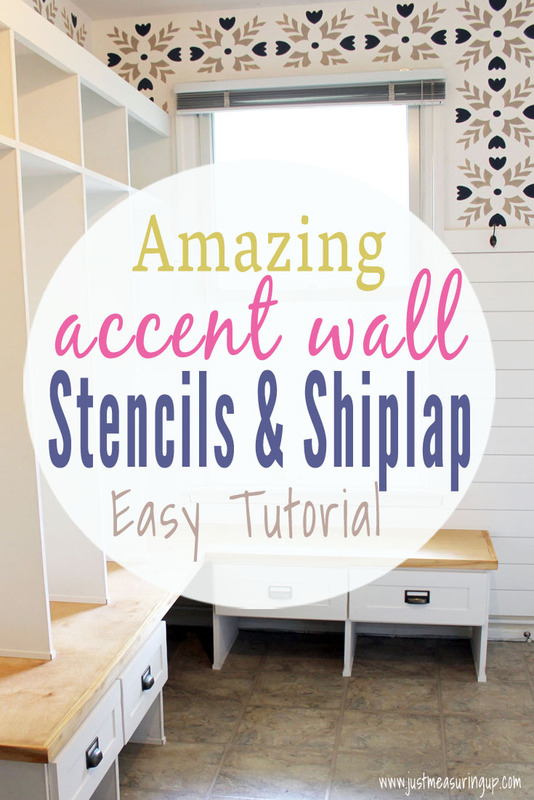 We used the bonding agent for the first coat because we used birch to build our entryway piece. Birch is a close-grained hardwood, so we needed the bonding agent to get good coverage. If you aren’t sure if you need a bonding agent, Old Fashioned Milk Paint has tons of information on types of wood and whether the bonding agent is needed. 3. Combine ingredients with a mixer. 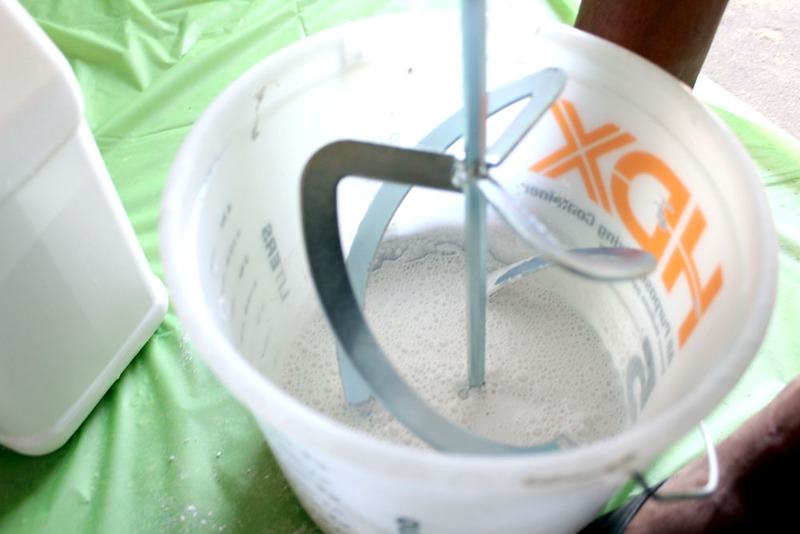 To mix milk paint, we found that the paint mixer attachment on the drill worked perfectly. You can also use a regular kitchen mixer. I’ve also used milk paint without use of a drill or electric mixer and I haven’t had as much luck, especially when mixing colors. So you just dump your ingredients into the container and mix it very slowly for 2-3 minutes. After your done mixing, let it sit still for 10 minutes. 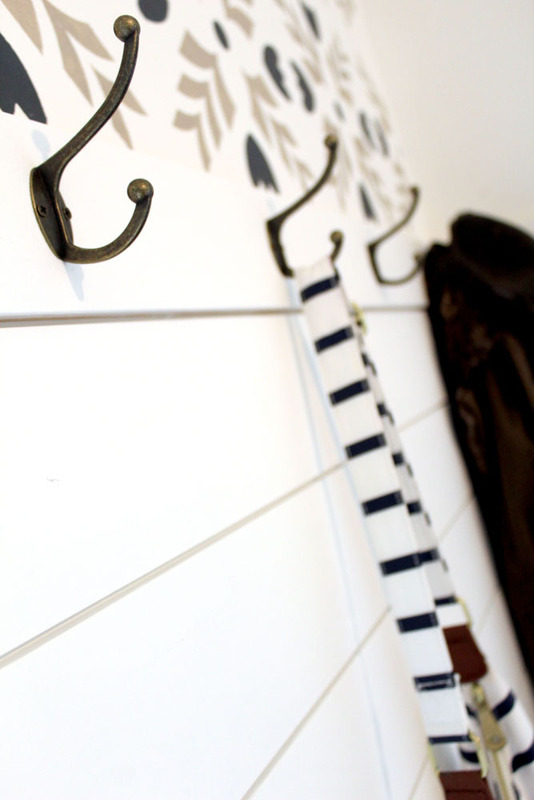 Then give it a good stir with the paint brush, and you are ready to start painting your wood with milk paint. 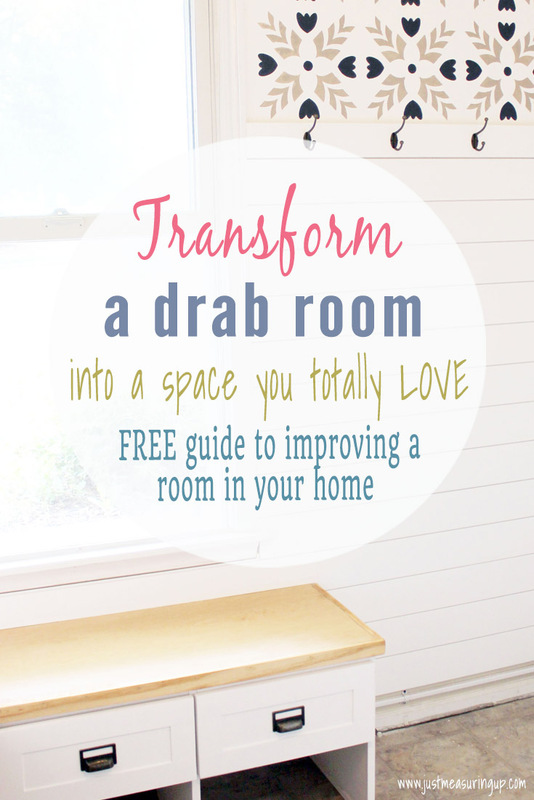 Now that your paint is mixed well, it’s time to start painting that wood. 1. Make sure your wood is clean of any sawdust or dirt. 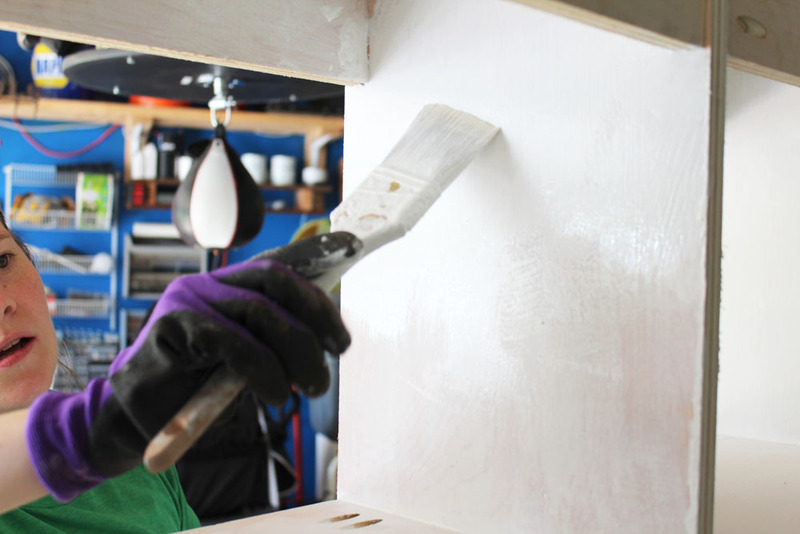 Wipe down your wood to make sure it’s ready for painting. 2. 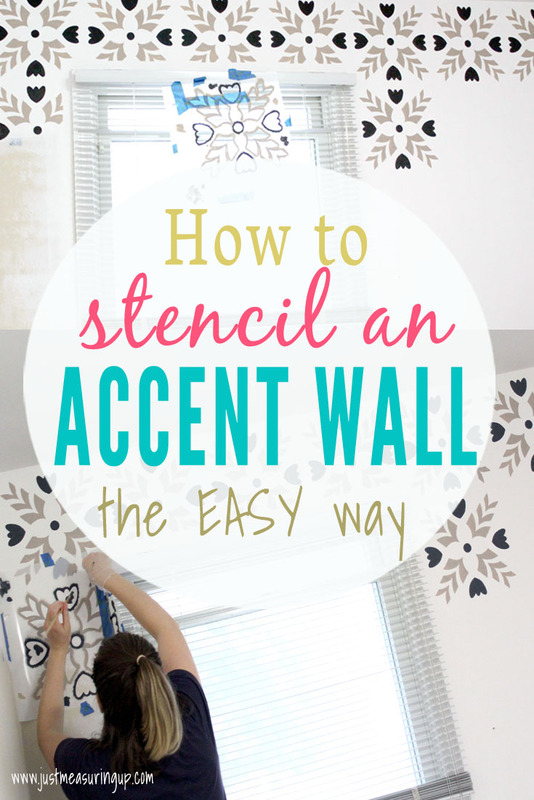 Use an angled brush to put on your first coat. We found that an angled brush works really well with furniture because you can easily get all of the nooks and crannies. 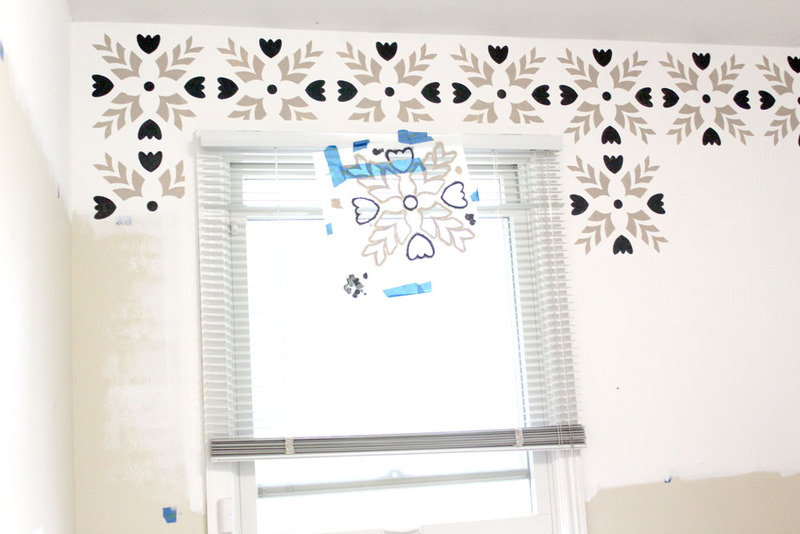 We also preferred a brush to a roller because we could control the paint better and watch for drips more easily. If you have the bonding agent in your first coat, it will be more watery and thin. 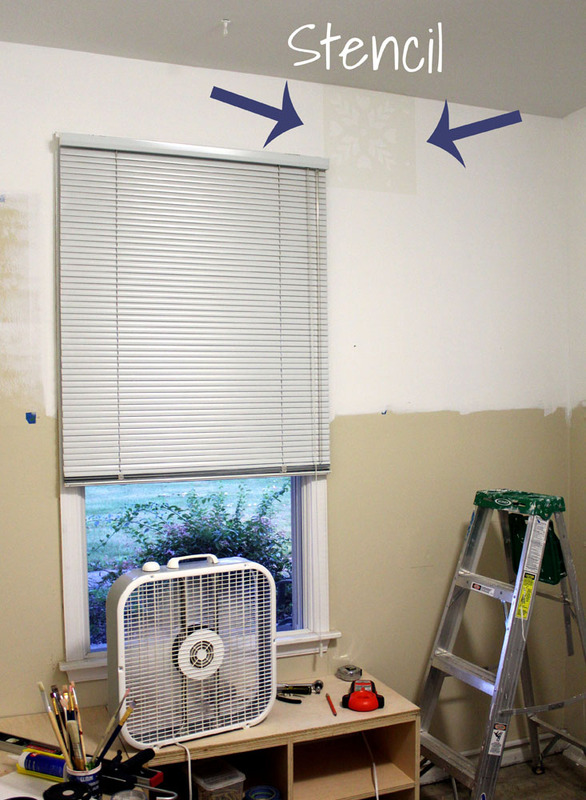 So you want to be careful of paint drips. 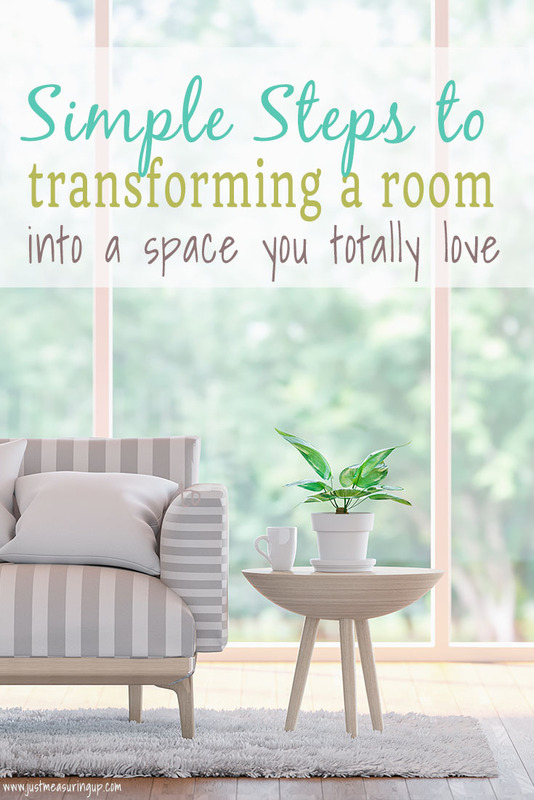 Definitely start at the top of your furniture and work your way down. 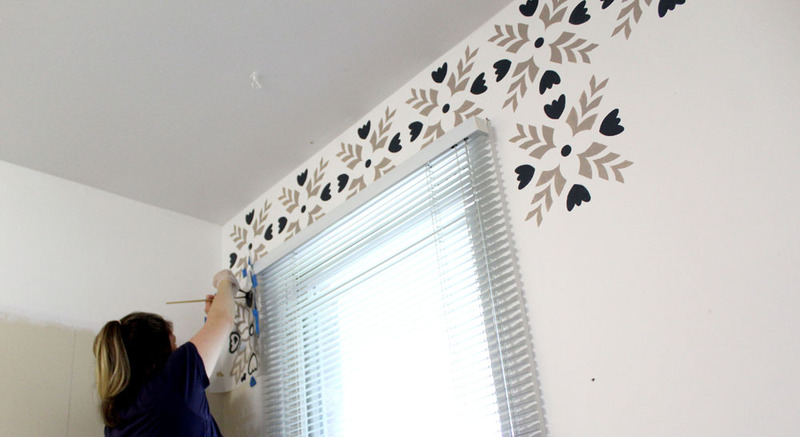 This way if you do have drips, you are painting downward and can even them out more easily. The first coat is more about coverage than anything else. So a thin coat is fine as long as you are covering the area well. The first coat won’t look beautiful and that’s okay. Let the coat dry and then you’ll be ready to move on. 3. Stirring frequently, apply your second coat, making sure to use even paint strokes. While the first coat was about coverage, when painting the second coat, you want to make sure that you are evenly coating your brush and evenly spreading the paint on. 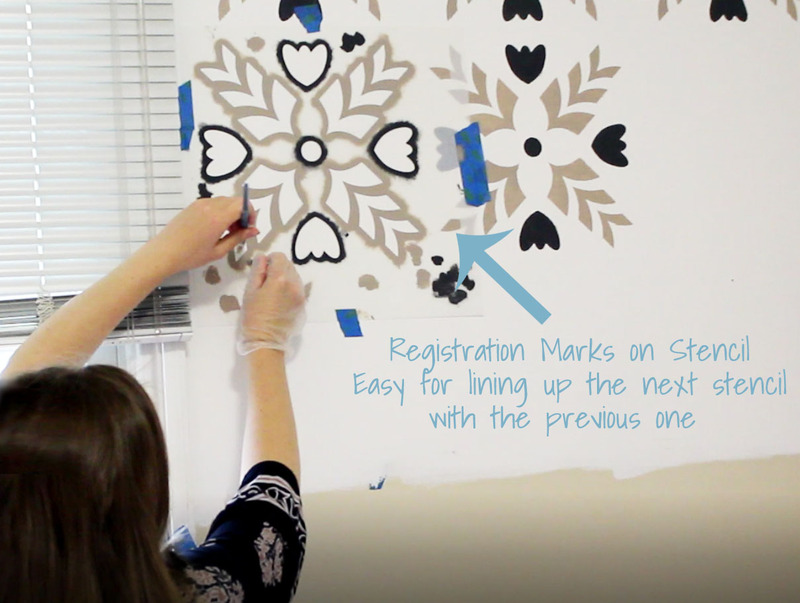 Take time to go over your brush strokes to make sure the paint looks smooth. As with the first coat, start at the top of the wooden piece and work your way down. If your paint is extra drippy, use less at a time or apply a thinner coat. 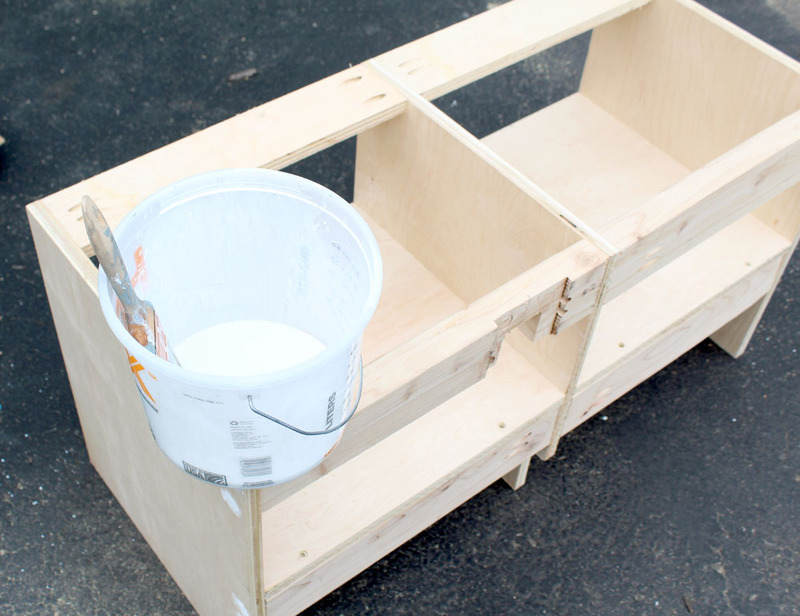 If your milk paint mixture is too thick, you can add a little water at a time and mix well. 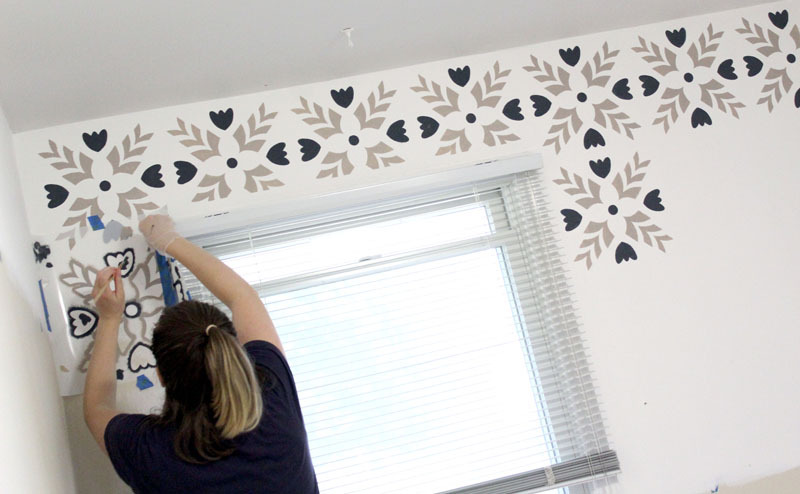 The paint shouldn’t be difficult to apply or difficult to spread. You could also wet your brush a little to help. 4. Apply additional coats as you see fit. Depending upon how thick or thin your paint coats were, you might need three or four coats. Or, you could need three coats and a touch-up coat. Decide what you’re comfortable with. 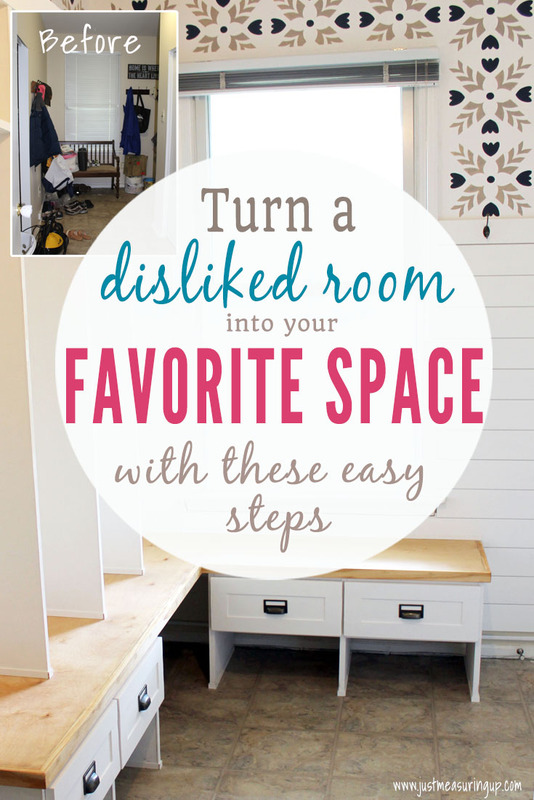 You might put an extra coat in areas that are more visible. Remember if your paint is too thick, add a little water and stir. The paint shouldn’t be hard to apply. Here’s a useful tip for you. 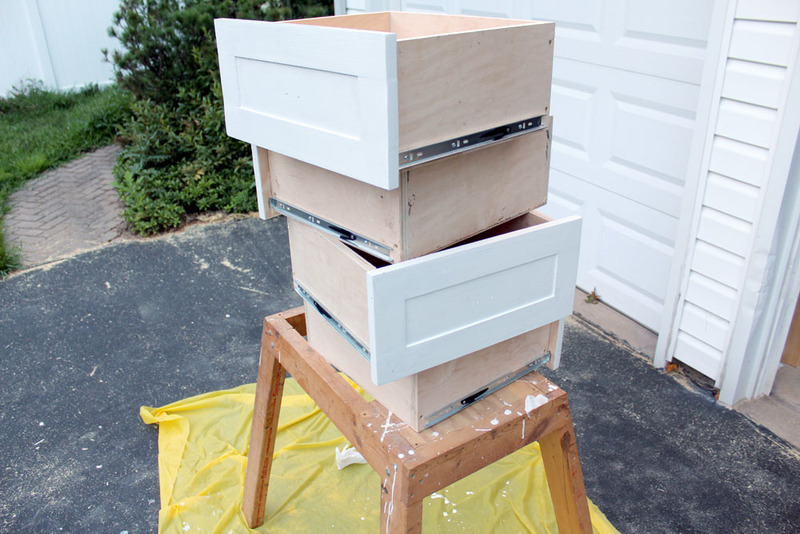 Keep some sand paper handy while applying milk paint. 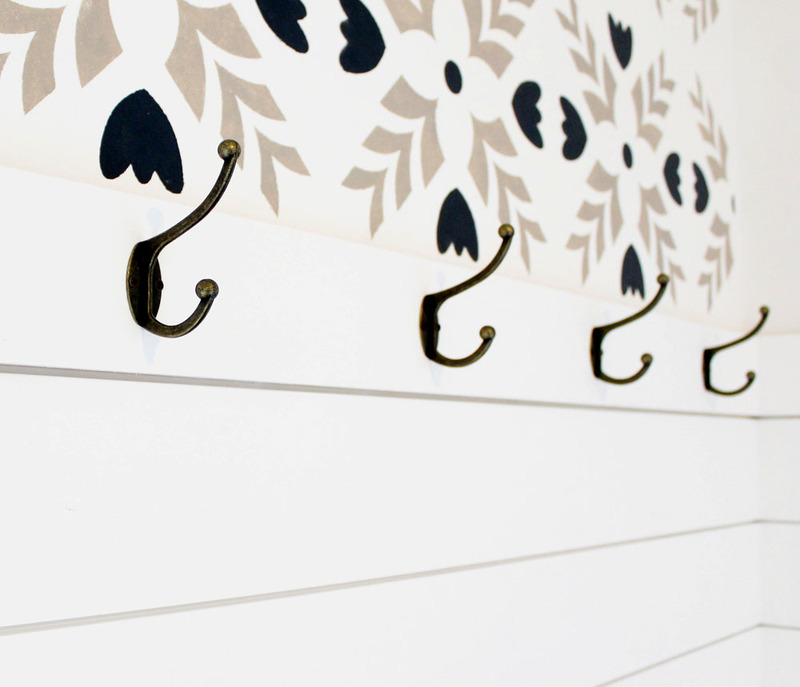 After some coats have dried, you may notice some hardened drips you missed. Just lightly sand them down with 150 grit sand paper and cover up with the next coat. Also, when your last coat of milk paint has dried, the surface may feel a little rough as you run your hand across it. A very light sanding of 300 grit sand paper yields a super smooth finish. 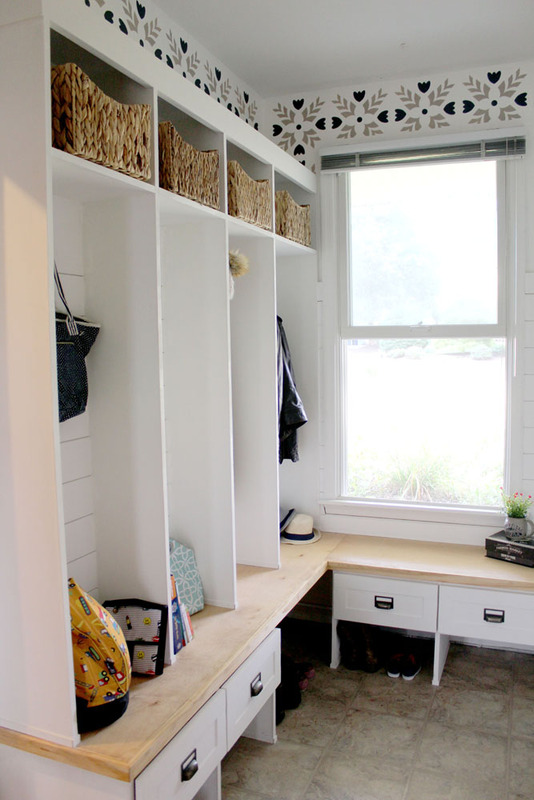 Here is the finished cubby piece installed in our mudroom. 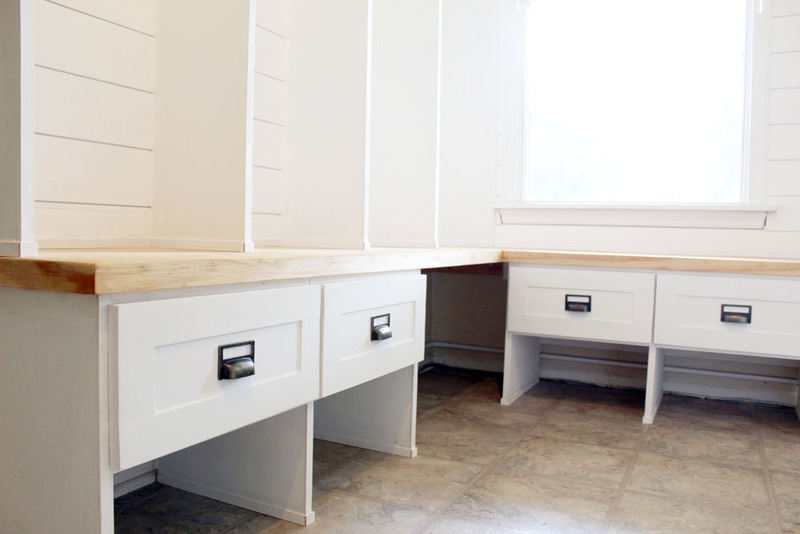 The cubbies and the drawers were all painted in Snow White from Old Fashioned Milk Paint. Here’s a close-up of the drawers. The paint looks so professional. Out of all of the various furniture paints I have used, I’ve never been more pleased than I have been with milk paint. Not only is it non-toxic and absolutely zero VOCs, but it’s absolutely gorgeous. Milk paint doesn’t always need a sealer, but if the furniture is prone to spills or moisture, then sealing is a good idea. We sealed our entryway piece because the kids would be sitting in there taking their shoes on and off, hanging up their wet coats and hats, spilling their water bottles, etc. To maximize the longevity of the milk paint, we opted to seal the finish with an acrylic type glaze. The dried milk paint already seemed pretty sturdy, but we didn’t want to risk early wear on the milk paint. We used SafeCoat AcriGlaze because of the extremely low VOC content. Applying it was very easy. We used a good quality bristle brush, and applied just two coats of the sealer, about 2 hours apart. We were very happy with the product. True to its word, it had a very low odor which dissipated quickly with a fan. The glaze dried clear. You could not tell it was even there unless you ran your finger across the wood. It was well protected. 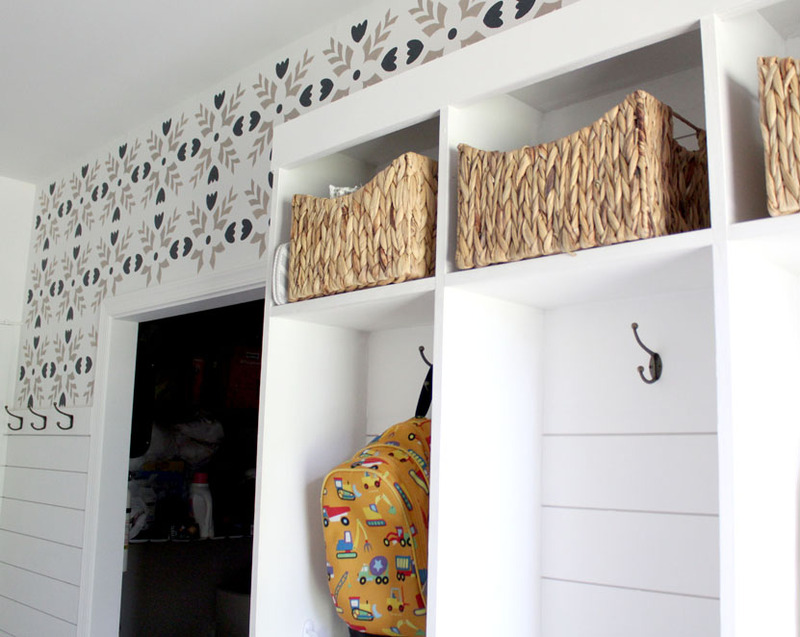 All in all, we couldn’t be more thrilled with our milk painted entryway cubbies. 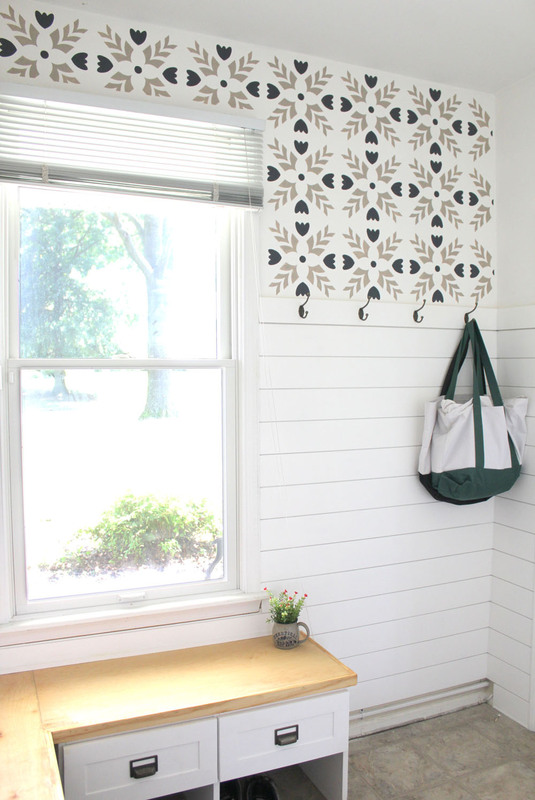 The milk paint was extremely easy to use, proved itself as a high-quality furniture paint, and most importantly, it’s a safe, natural alternative to the chemical-laden paints that are out there. Thank you Old Fashioned Milk Paint for offering a safe alternative so that we DIYers can build and create without compromising our health. 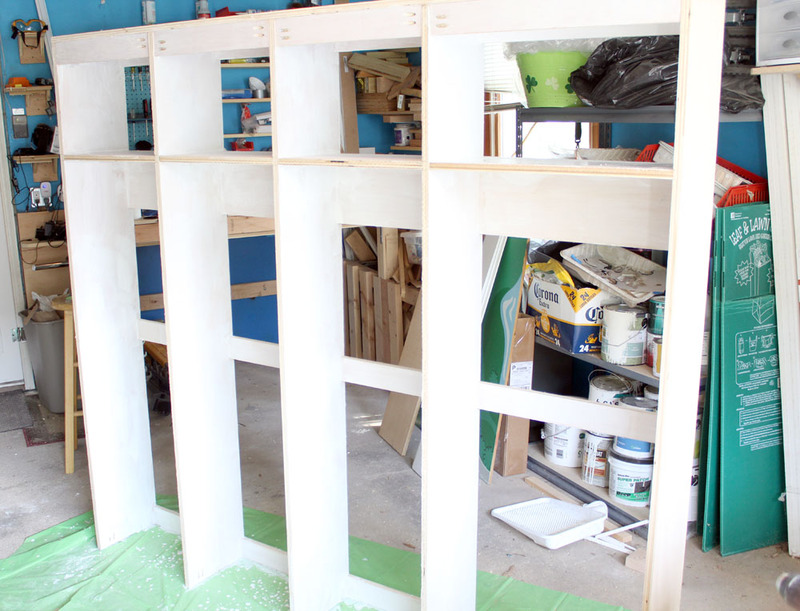 And as for the building of the cubby shelves, that tutorial is on its way to you next! 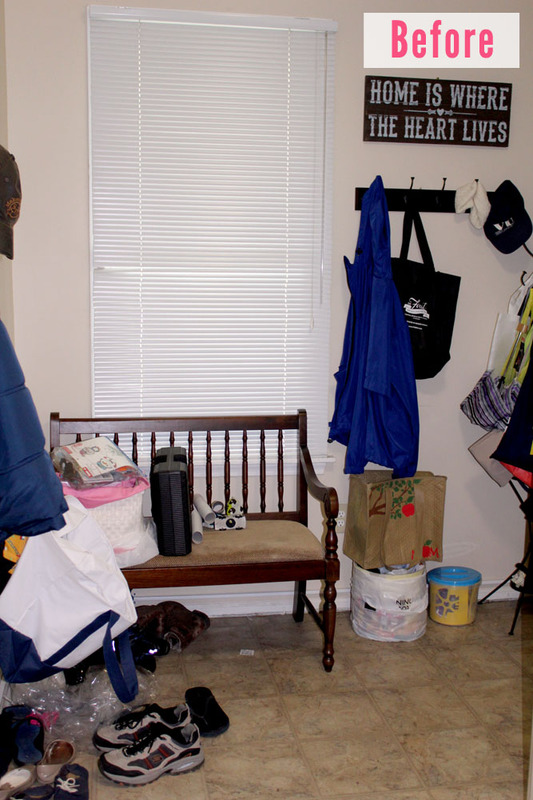 Want to see what our mudroom looked like BEFORE the makeover?